How to Convert ISO file to DMG file on Mac OS X. Home / Unlabelled / How to Convert ISO file to DMG file on Mac OS X.
ISO and DMG are two different types of computer file. ISO type file system is used on Windows OS while DMG type file system are used on Mac OS. In this article we will be discussing different ways to convert an ISO file to DMG file. Go to the Finder window > Open Terminal > Click GO-Terminal. hdiutil convert/folder/folder/file. iso-format UDRW -o/folder/folder/file.dmg. 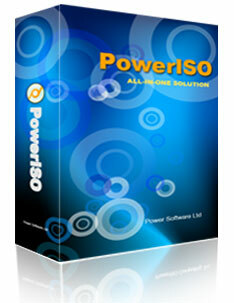 First download the Power ISO software from here. Once the file is downloaded , Go to your “downloads” folder and install the Power ISO file. Once installed “Double click” on Power ISO icon to open it. Open Power ISO on your computer . Go to File Menu and select “Open” to open your ISO file. Go to Properties and select ‘Apple Disc Image” option. Save the “Apple Disc Image” option. Now your ISO file is converted to DMG. Once the file is downloaded , Go to your “downloads” folder and install the Magic ISO file. Once installed “Double click” on Magic ISO icon to open it. Now Open Magic ISO in your computer. Go-to “Open” to open your ISO file. Go-to “Properties” and select the ‘Apple Disc Image” option. Save the ‘Apple Disc Image” option.